Last month I spent 3 nights in Prague and I thought I share my impressions from this trip with you. 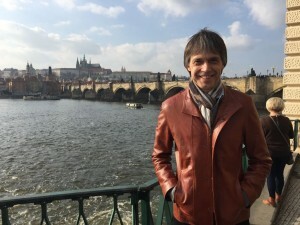 It was my first time in this city, so I did the regular sight-seeing stuff like the Charles Bridge or the Castle, ate the famous Trdelník and enjoyed the perfect scenery in this exceptional city. 1. Jazz Club Reduta: A very nice and cozy Jazz club. The band we saw was called “Tarapaca Jazz” and is formed around the pianist Jaroslav Bárta. The band played mainly their own compositions. 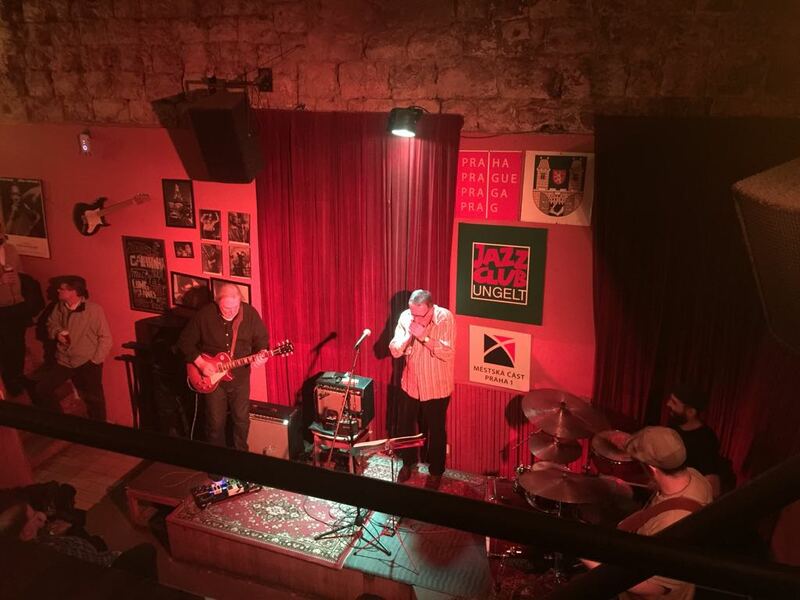 The sound was pleasant, not too loud and not to soft, the drinks were not too expensive and the program of the club is rather traditional, so if you search for a relaxing atmosphere with good Czech jazz musicians this is the perfect choice. 2. Jazz and Blues Club Ungelt: We spent the second night in this club and we heard the “Luboš Andršt Blues Band”. They played very traditional Chicago-Blues, but Luboš is a great and very intelligent Blues guitar player. The club is rather small so expect it to be a little bit louder. The program of this club is more Blues-oriented and Luboš Andršt plays regularly here. 3. AghaRTA Jazz Club: This is the club with the more modern jazz oriented program. When we were there we saw Ondřej Kabrna & Flying Power. Ondřej is a excellent piano and organ player. He was accompanied by a cool guitar and bass player named Kryštof Tomeček. The club is very popular and right next to the old-town square, so it might be difficult to find a seat when you arrive later in the evening. All clubs have live music every night and they present local musicians. Prices for admission and drinks are reasonable. The musicians were all excellent and they find a mixed audience of local people and tourists every night. Prague seems to have a very active and lively Jazz scene and if you want to escape from the beer-drinking crowds and selfie-stick equipped tourists then visit one of these clubs.